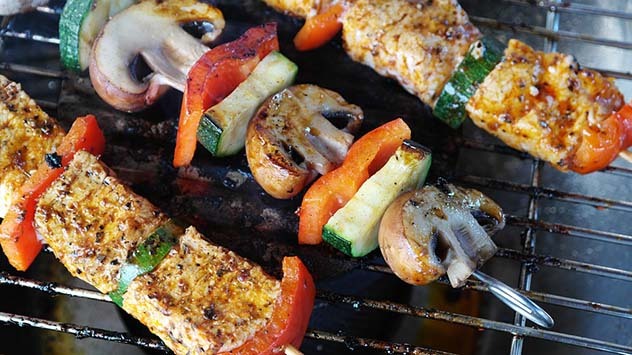 Kebabs are a Memorial Day favorite for outdoor gatherings, but before you make some, follow grill safety practices. This Memorial Day weekend, people across the country will fire up the grill for outdoor gatherings with family and friends. But before you make barbecue ribs, spicy grilled shrimp, chicken kabobs or other favorites, remember to stay safe. Seventy percent of adults in the United States own a grill or smoker, according to the Hearth, Patio and Barbecue Association. While that means a lot of people can enjoy home cookouts this weekend, there’s also the potential for danger. 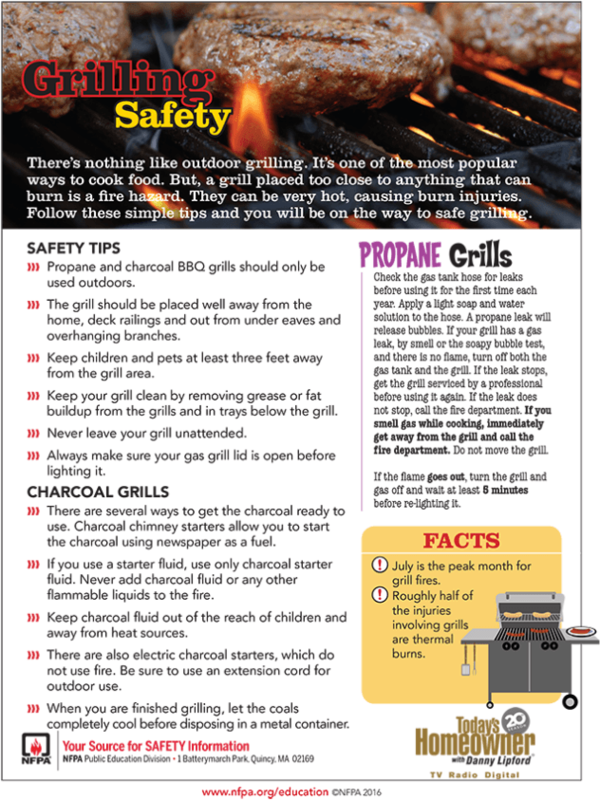 Each year, approximately 9,600 home fires originate with grills and July is the peak month for such fires, followed by May, June and August, according to the National Fire Protection Association. 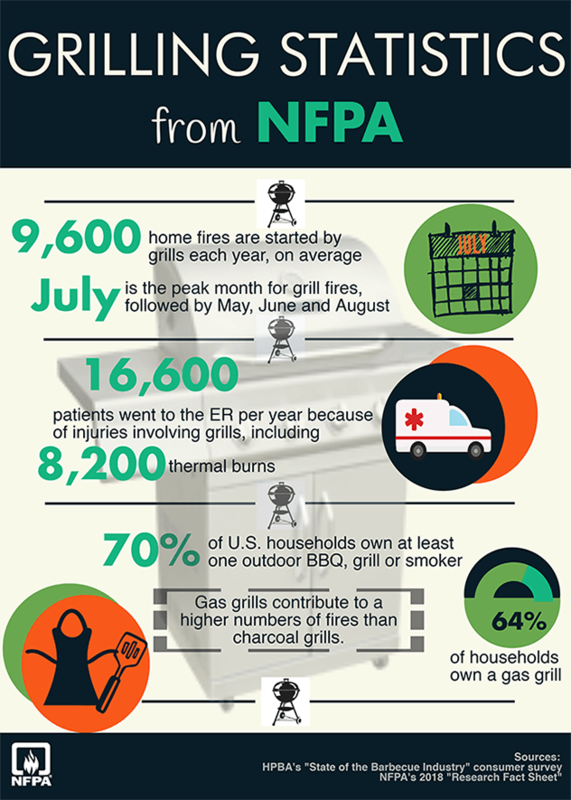 Grill-related injuries send more than 16,000 people to the ER each year, particularly for thermal burns, which represent 8,200 of those visits, according to the NFPA. Following simple safety practices can prevent hazards and help ensure that you won’t become a statistic. 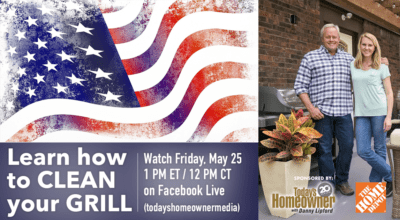 “Today’s Homeowner” hosts Danny Lipford and Chelsea Lipford Wolf will demonstrate proper grill cleaning techniques May 25 on Facebook Live. Please like TodaysHomeownerMedia on Facebook right now to make sure you will receive the notification and can watch! Our Facebook fans also receive daily home improvement updates and previews of our nationally syndicated television show. Thanks for reading, and happy grilling!